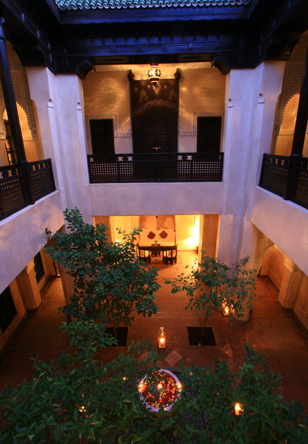 Dar Les Cigognes is a boutique hotel created from two riads (traditional Arab-style courtyard houses) dating from the 1600's. The restoration took two years and was led by local architect Charles Boccara. Facing the gates of the Royal Palace, it is very well located next to the many sites of Marrakech, and is one of the few riad hotels that boasts a street entrance, making it easy to come and go by taxi. 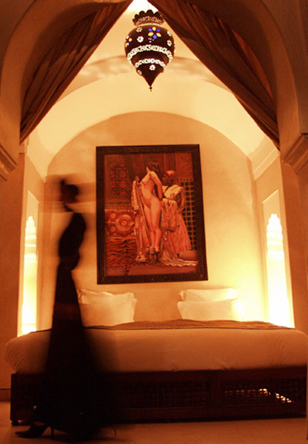 There are 11 luxuriously appointed bedrooms and suites, a full service spa and traditional Moroccan hammam, a restaurant serving Mediterranean- Moroccan cuisine, 24-hour reception and concierge service, complimentary wi-fi throughout, glorious roof gardens, and many private corners to enjoy. In keeping with our ethos of providing genuinely rich cultural experiences, we endeavor to provide a maximum of comfort and service with a minimum of intrusion from the modern world. 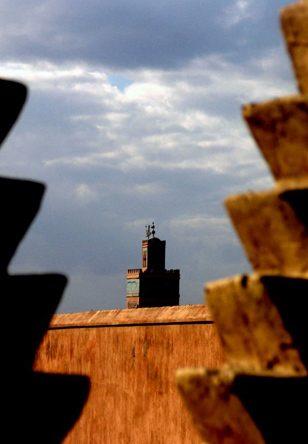 Our concierge team will be delighted to help you make the most of your time in Marrakech and more generally in Morocco. Marhaban Bikoum - Welcome!